I started browsing CraigsList. 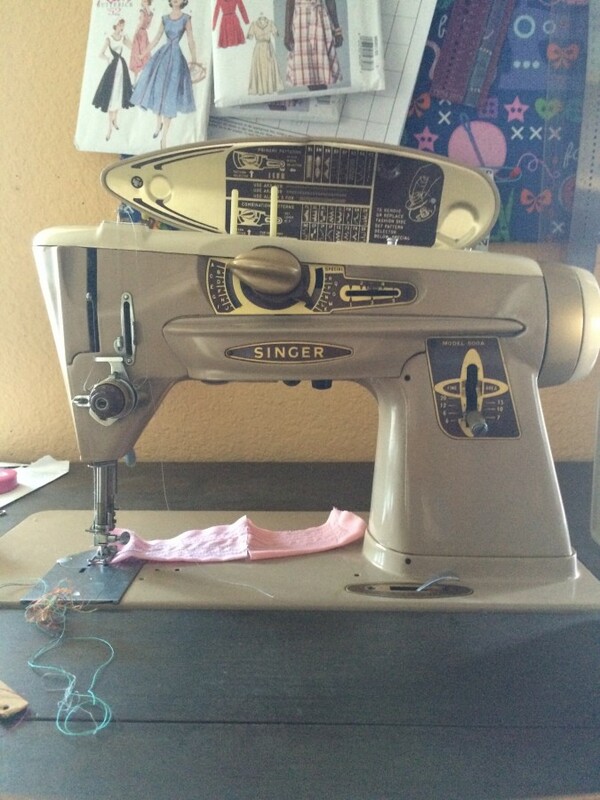 There's a particular Singer model (the 500A) that I've had my heart set on for a while, but simply couldn't justify buying another machine when my White was working and more than met my needs. Now, though....I wanted to get a feel for a) the availability of said model and b) the price ranges. 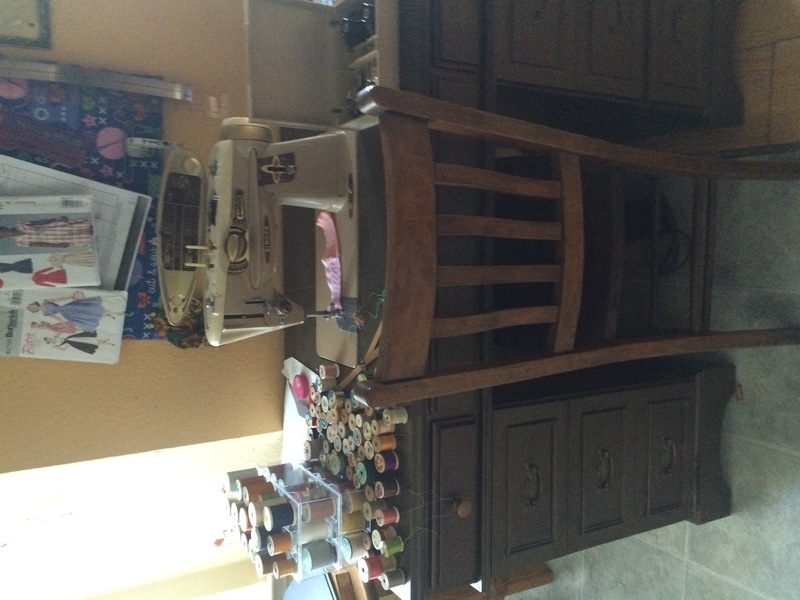 CL had 2 currently listed, both for the same price, but the one I found last night had EVERYTHING: a desk, thread, the original accessories, a chair, and a bunch of other stuff. I sent the ad to myself. SG asked me what I was doing, and I told him, "I found the machine I want - but I'm NOT writing the lady. I just want to have the ad, in case G. (in IL) can't find a motor. I want to be ready....but it's not as cheap as I wanted. :sigh:". "Well...how much? And what comes with?" "Um. 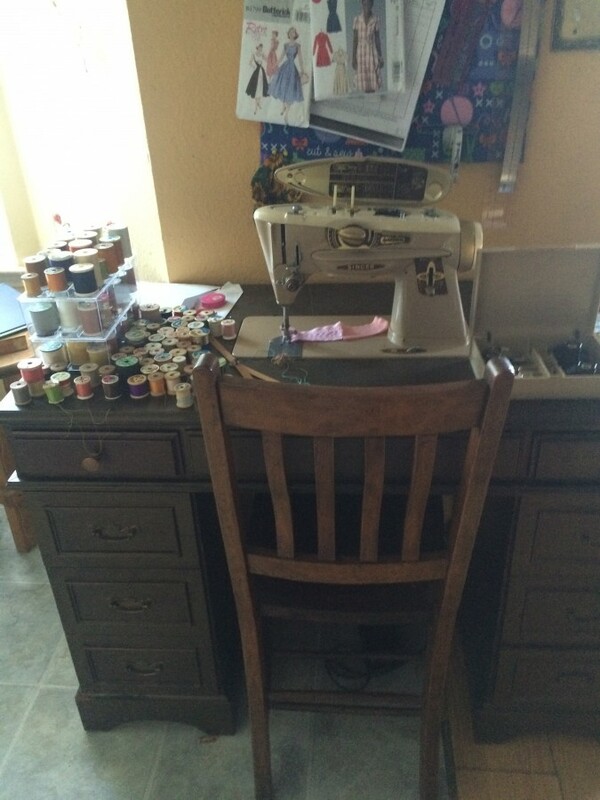 $200, but it's the machine, a flip-up desk AND chair, the original accessories, and some other stuff. There's another one in Burleson for the same price, but it's JUST for the machine. Oh, and this one claims it was just serviced." "Well......let's talk about this. Which is the better machine, yours or this one?" "THIS one. 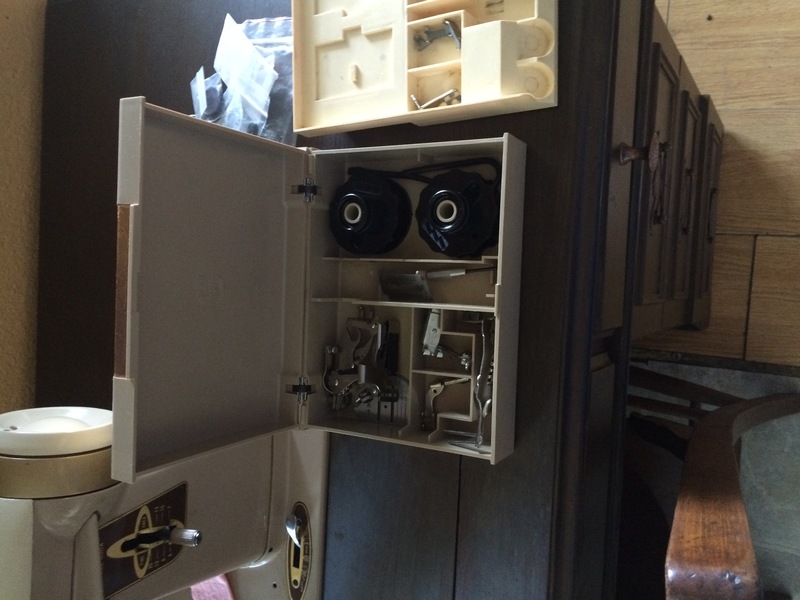 Singer is a MUCH better brand; my White is nice, but it was a lower-end model. This one - this is one of Singer's better models." "Hmmm. Let's do this - email the lady. If it's still there, go get it. We'll still try to get a new motor for the White, then we'll sell it to recoup some of the money for the Singer. Sound good?" Umm - YES. Yes, PLEASE!!! Long story short - she had it, we left the house early this AM, and Herself and I came home with my new machine. And a TON of stuff! The machine does drop down into the desk, leaving you a flat surface to use for other things. I have been in love with the looks of this machine since I first discovered it a while back. It is SO retro-futuristic, it's not even funny. 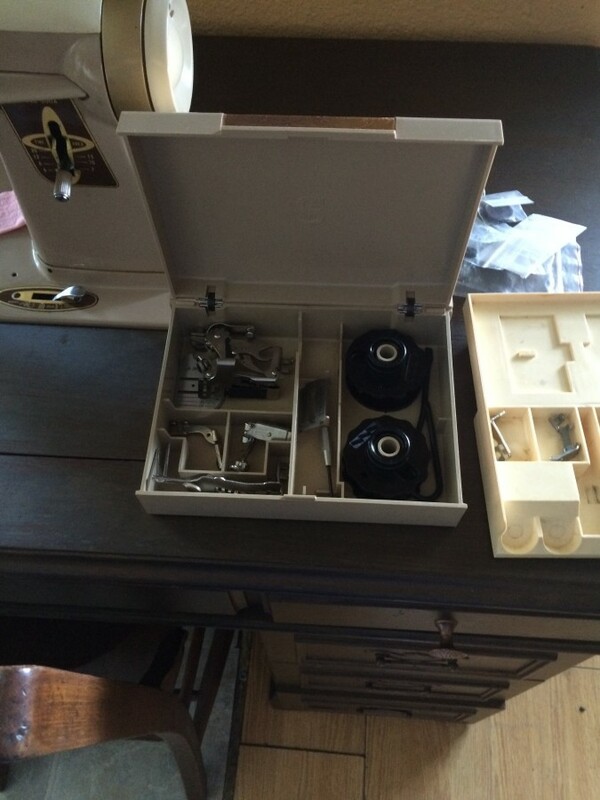 I have the receipt - it was serviced 5/19/15 and was completely overhauled and brought back to almost new condition. It is...well, it's gorgeous! 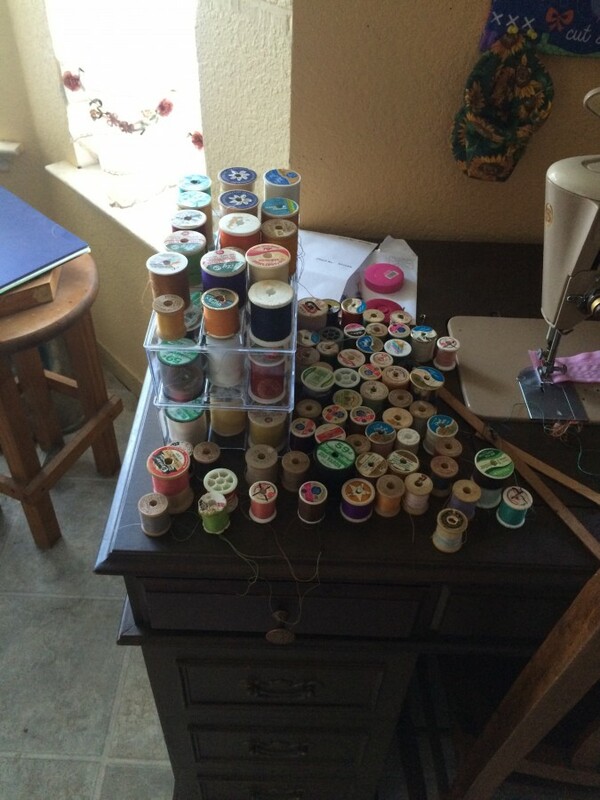 120 spools. The 2 clear boxes are mine - I thought it'd hold them all. :snicker: I need about 5 more. Yes, I know the thread is older, and may not be the best - but it seems strong. 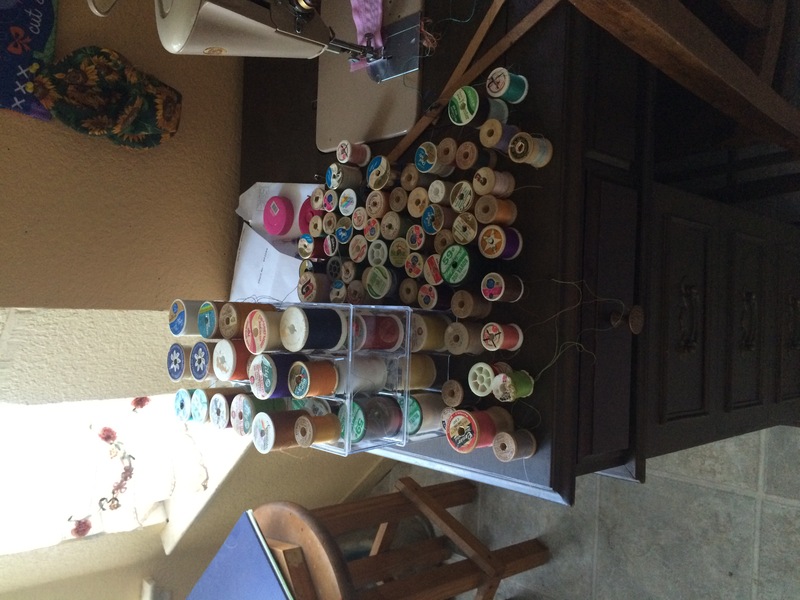 :shrug: I'll try it - if it breaks, I have 5 boxes of new thread, so no big deal. 4 of the original pattern cams (it came with 5; the 5th is in the machine right now), some feet (it requires special feet, because it's a Slant-O-Matic machine. :sigh: Ah, well - I have enough to get started!) and a throat plate. I am just tickled to death over this. I'll be playing with her later - I just had to share! 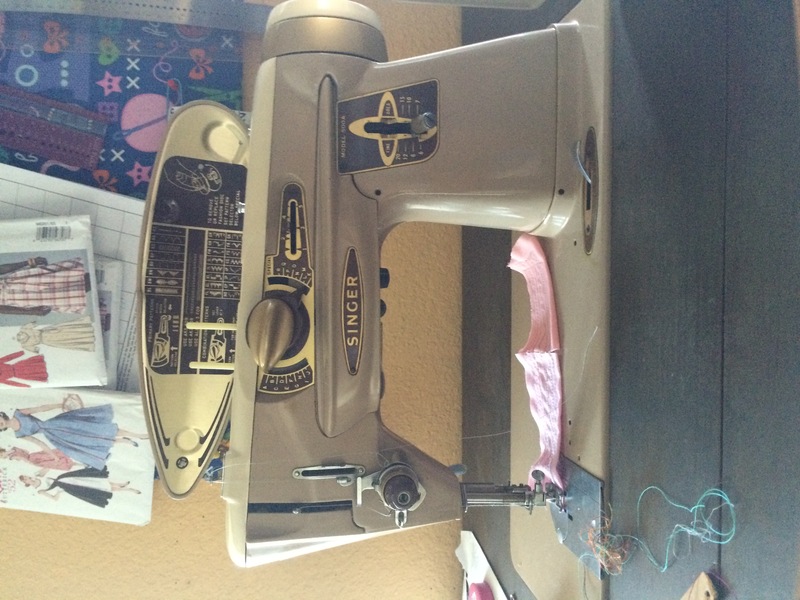 I had asked the Lord for a sewing machine - either a new motor, or a sign that I needed to buy a "new" one......for SG to decide to buy one is a HUGE thing. (It's not a tool for him, so he tends to be a little stingy usually.) I am over-the-moon grateful for this! This entry was originally posted at http://fiberaddict.dreamwidth.org/843499.html. Please comment there using OpenID.